SCVHistory.com FF4301 | Tataviam Culture | Caroline Francis Garcia (1923-1999), ~Early 1940s. 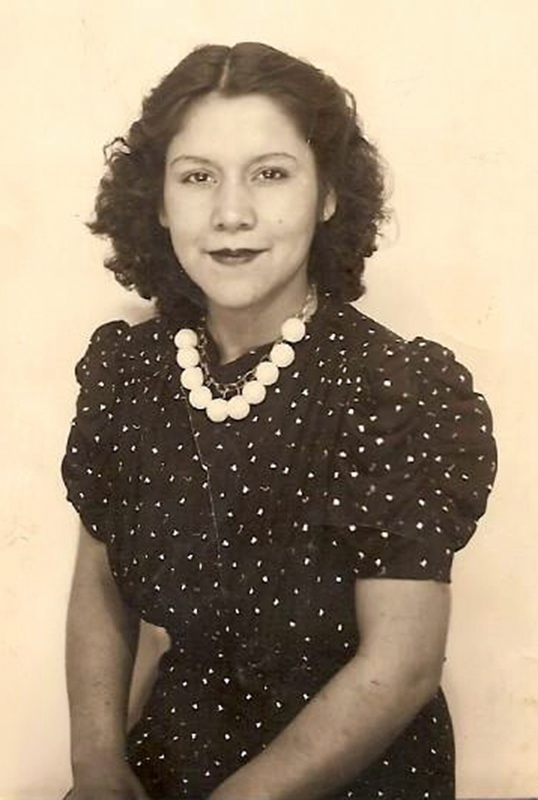 Caroline Francis Garcia (June 8, 1923 - Sept. 27, 1999) was born in Newhall to Chief Mary Cooke Garcia (1901-1975) and Louis Garcia (1885-1973), their eldest daughter. Through her mother, Caroline's ancestry can be traced to individuals who lived in the Santa Clarita Valley prior to European contact in 1769. According to her granddaughter Renee Cano, Caroline moved with her parents to the San Fernando Valley where Caroline worked in a factory until she became disabled. "Known as a very strong woman, Caroline never let her illness keep her from doing the things she loved," Renee writes. "Even after the loss of both her legs, she still continued to live a very active life." Caroline had four children: Robert Joseph "Bobby" Ward Sr., with John Amos Ward (1918-1945); Margaret and Ruth Duarte, with Salvador R Duarte (1919-1991); and Phyllis Lopez, with Philip Diaz Lopez (1923-1997). Caroline is buried in the San Fenando Mission Cemetery alongside her longtime companion, Philip Lopez. FF4301: 9600 dpi jpeg from smaller jpeg courtesy of Renee Cano.